From the man who brought you the Magicians Guide to Palm Reading, comes the Magicians Guide to the Tarot! The Tarot has long fascinated both magicians and the general public. With its entrancing artwork and air of mystery, these cards are the perfect tool for magicians and mentalists. 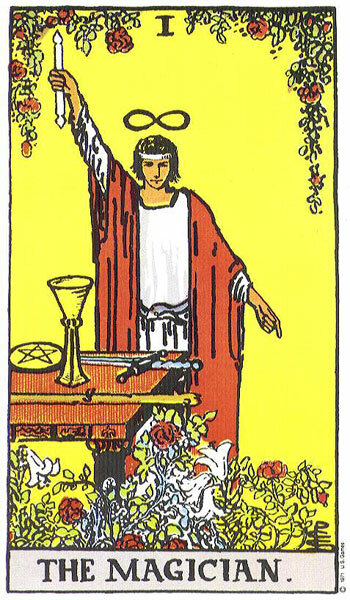 However many magicians and mentalists can find it difficult to incorporate the Tarot into their close-up sets. Learning what each card means and then delivering a reading can seem a daunting task. With 78 cards in a full deck, many can be worried that it is impossible to remember what each card means. And when it comes to using the Tarot for tricks their size and shape can often mean that even an experienced card magician can struggle to use them. Both issues are addressed in this guide, the first of its kind for magicians in terms of both advice and practicality. Paul has used the Tarot as a tool for magical entertainment for the past decade, and his method of delivering quick entertaining readings is included within this manuscript. The problem of ethics and how to keep readings very firmly on the & entertainment side is also addressed and resolved. And finally Paul presents several ways of using the Tarot for tricks that are easy to do but also manage to keep the Tarots integrity in place. the field for a decade. The Tarot is ideal for providing displays of wonder and mystery – the essential ingredients of magic. This guide shows you how you too can provide that wonder and mystery, with everything fully explained in easy to understand language that does not get bogged down in jargon or woolly rhetoric. This practical guide is aimed very firmly at magicians and mentalists who live in the real world, and need real world advice and ideas. mentalists who are interested in incorporating the Tarot into their close-up routines and sets for entertainment purposes. It is not aimed at those wanting the work as Tarot card readers providing in-depth readings. For those interested in providing in-depth readings, please refer to other work by Paul Voodini.